The importance of the ECU in engine is so important that without it, the engine will not function properly. Check out 5 common reasons why it is not working properly! The ECU just like every other parts of the engine adds up to the general performance of the car. You sometimes marvel at the mechanical and electrical wonders behind the production of vehicles. It’s a perfectly normal feeling and it is very important you know that the different parts make up a whole, which is why we have vehicles plying the road. The ECU is the control unit of the vehicle’s engine. It is a built-in computer as an electronic module, which manages varieties of functions and performances of system for the vehicle. So, the engine and drivetrain rely heavily on the ECU to function. The ECU has the capability of transferring data feedback through series of electronic sensors, chips and components that can be found in a vehicle. Consequently, the feedback gotten from the ECU will determine the next line of action with the engine. It provides enough support when it comes to calculating the amount of air and required fuel for the internal combustion process. When this happens, it ensures an improved fuel economy. 2. 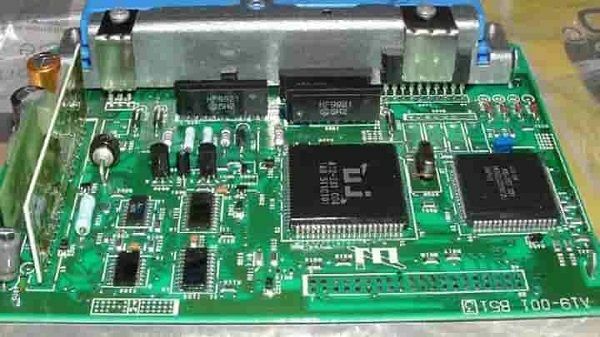 Engine ECU failure - why ECU is not working properly? The job of the ECU cannot be overemphasized. It is in charge of regulation of system and function in a typical vehicle. That is why if the ECU is faulty, lots of problems will start showing up in the car. It’s quite easy to figure out but you might still be wondering on what could have caused the problem in the first place. This is mostly attributed to lots of internal causes. Here on Naijauto are the reasons why the ECU is not working properly. There are many electronic cells in car batteries which aid the functionality of the ECU. There is high possibility of ECU failure if any of the cells in the battery is dead. Likewise, if the entire battery cells are dead, it would affect the entire vehicle. It will be hard to get the engine running or even starting up the car. It is advisable to always play safe and be on lookout for the early signs of a faulty ECU and inspect the battery quickly to be sure of where the problem is from. In a bid to prevent moisture from gaining access to the inside, the ECU has seals around it. After usage for a long period of time, it is normal for the seals to be worn out. When this happens, it gets so easy for moisture to find its way through them and gain entry into the ECU. This moisture is one thing you should avoid at all cost because it would allow corrosion to be formed on the ECU components. This could lead to damage of those components. If the corrosion is not cleaned right away, the ECU might stop working. It is normal when the ECU in your car has a minimal of 9 volts or 12 volts sometimes. To check the voltage, you only need to attach the voltmeter gauge to the wiring that runs into the harness of the ECU. Through this, you should be able to detect the amount of voltage that runs through the ECU. When there is 6 or less voltage, it could be the reason why the ECU is not responding properly. Many people do not know that jump-starting your battery, when not done properly can affect the ECU in the car. You should endeavor to always attach the jumper cable correctly. When you do it in an improper way, it could short out the ECU, hereby making it to spike very quickly. This could be severe enough for you to replace the ECU or just repair. This is one expense you should try and avoid. You might be driving one of those cars which have sensors in their starters. One of those sensors acts as override sensor, which handles the amount of volt the ECU receives. If there is a problem with this sensor, it would deny the ECU the required amount of voltage. By implication, it will not work properly and also cause more serious problems in your car. When you replace the starter with an incompatible one with the ECU, it could also affect the performance of the ECU. That is why you need to make sure the sensor in the new starter you are buying tally well with the ECU. Always be attentive to your car to avoid incurring serious financial debt on you for what could have been a simple repair in the first place. >>> For great car maintenance tips and car sales updates, Naijauto.com is always just a click away.